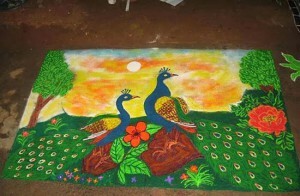 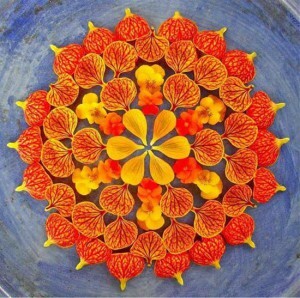 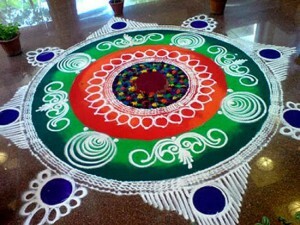 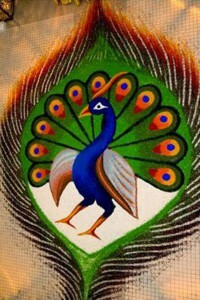 Rangoli is an ancient folk art of India. 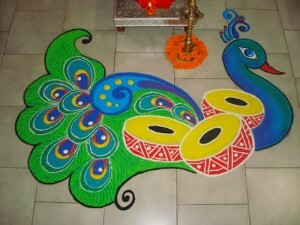 With its innumerable styles & infinite colors, Rangoli design has always been preferred at auspicious occasion. 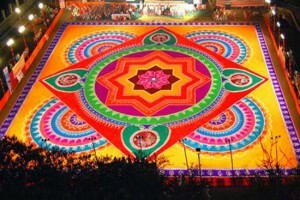 Designs may also vary as they reflect traditions, folklore and practices that are unique to each area. 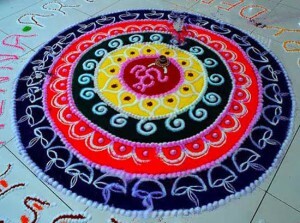 It is traditionally done by women. 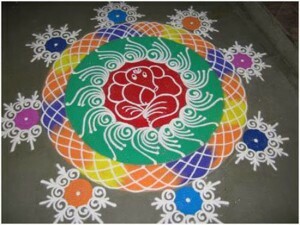 These designs can be done either in dry form or in wet form. 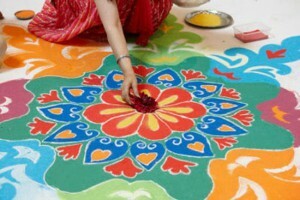 Rangolis are meant to be sacred welcoming areas for the Hindu deities. 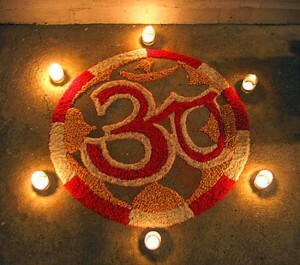 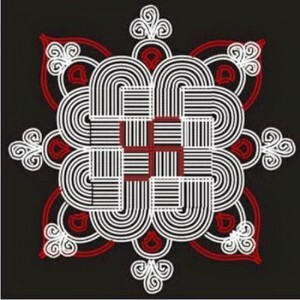 It mostly consists of ancient symbols such as Swastik, Shri & Om. 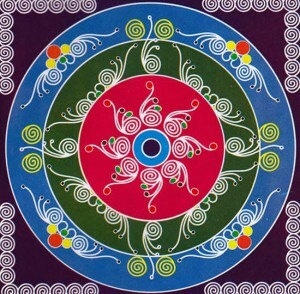 The ancient symbols have been passed down through the ages, from each generation to the next, keeping both the art form and the tradition alive. 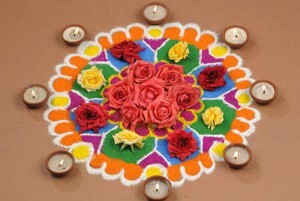 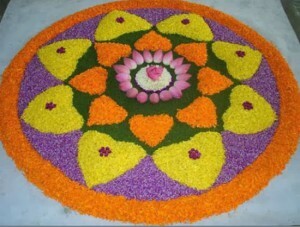 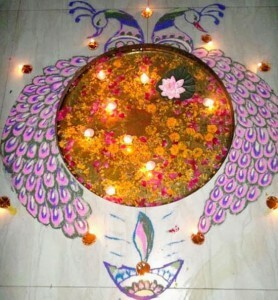 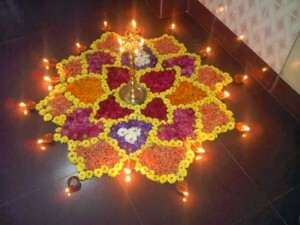 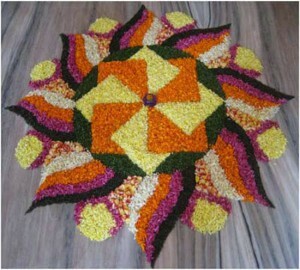 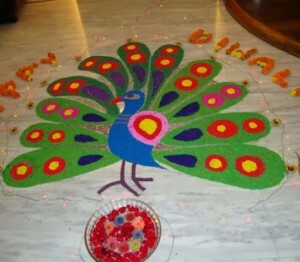 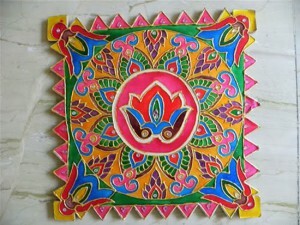 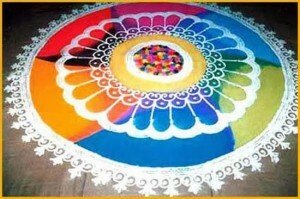 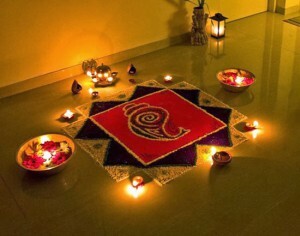 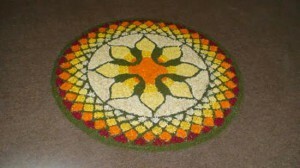 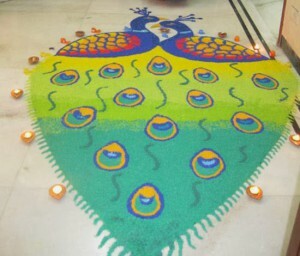 But not only for religious reasons, Rangoli is also used for decorative purposes. 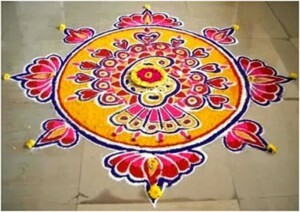 It can be used for auspicious occasions such as weddings & other events.Generally, vibrant & bright colors are used while drawing Rangoli designs, to give it a dramatic effect. 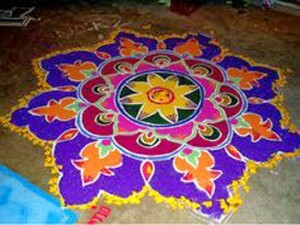 Not only basic colors, but Rangoli comes in many colors, giving you a wide & not only with sand, but it also allows you to use flower petals, dry flour, colored rice & even with Haldi & Kumkum! 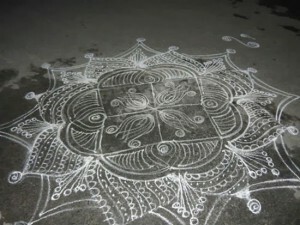 Drawing a Rangoli at the entrance of house in the early morning has always been supposed to be a good omen for home. 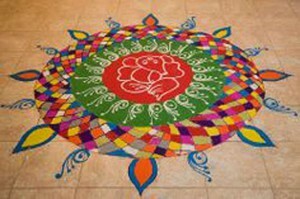 Be it a simple geometric shapes or a grand Rangoli design to occupy whole of place, it always gives delight to our eyes & soul. 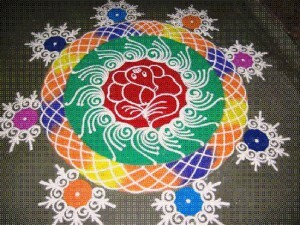 Rangoli bears a variety of names in various states. 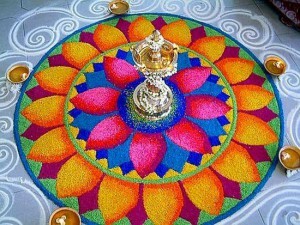 In Tamil Nadu, it takes name Kolam, Mandana in Rajasthan; Chowkpurna in Northern India; Alpana in West Bengal; Aripana in Bihar; Chowk Pujan in Uttar Pradesh; Muggu in Andhra Pradesh and so on. 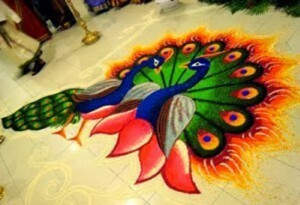 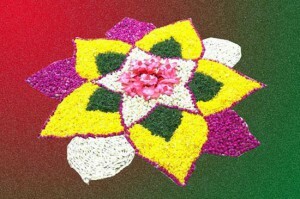 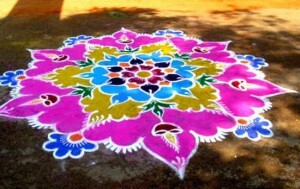 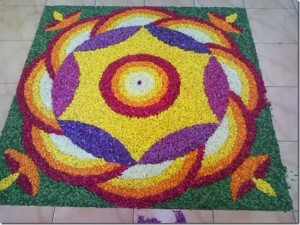 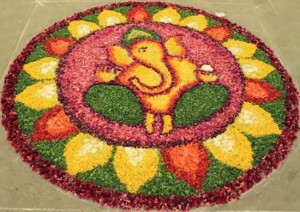 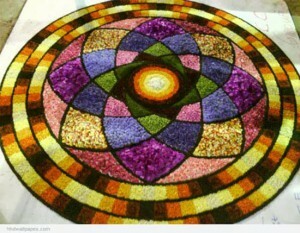 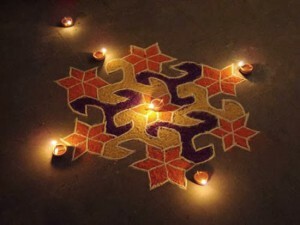 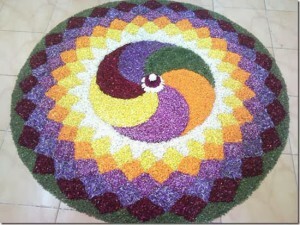 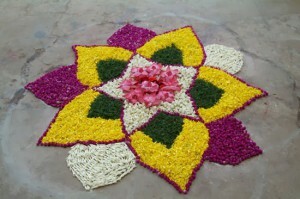 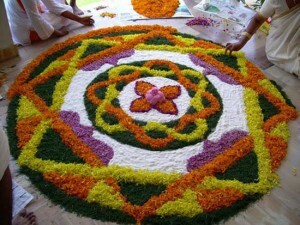 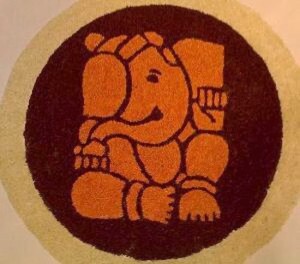 But whatever be its name & the modern form it has taken today, Rangoli always remains as sacred & beautiful to us. 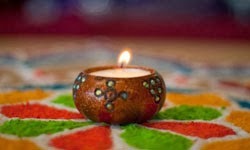 Do not miss on checking this 75 beautiful mehndi designs will add elegance to your personality during the festive occasions. 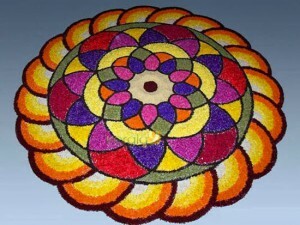 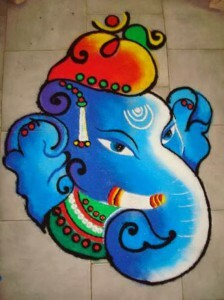 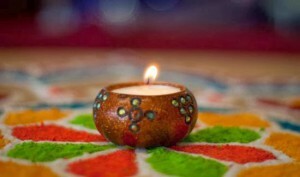 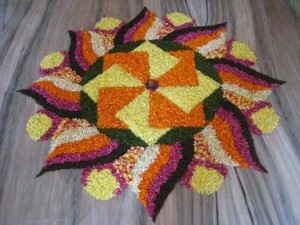 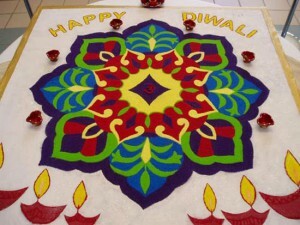 Let’s have a look at some beautiful Rangoli designs for an oncoming festive season.